Wishing you a fun, and safe, holiday! 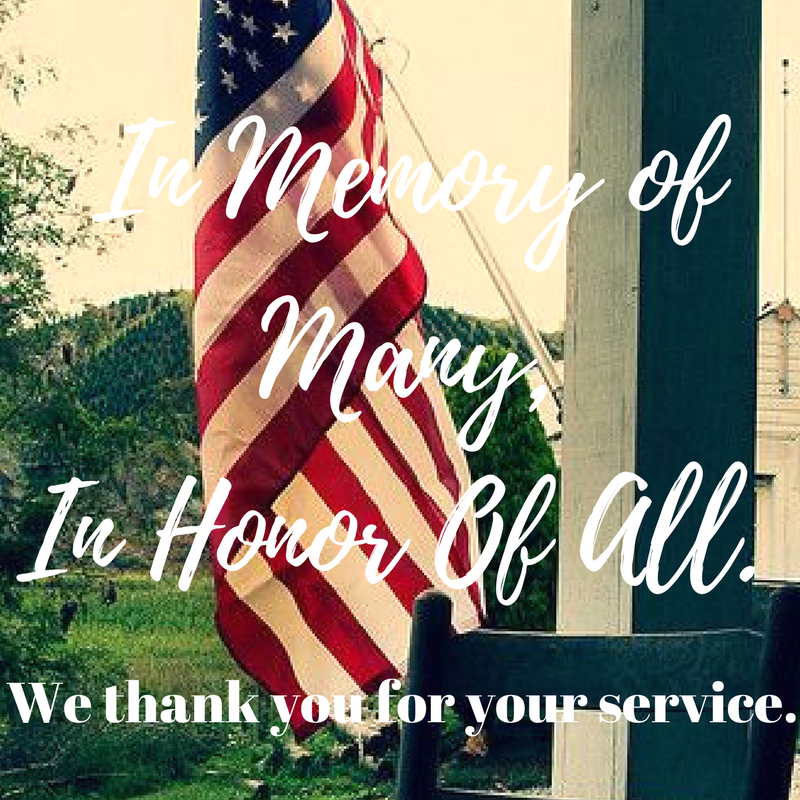 Memorial Day weekend is upon us, and with it comes a time to remember the sacrifices made by so many to defend our freedom, as well as the official kick-off to the summer season! We hope you'll be enjoying some rest and relaxation with friends and family. In fact, this may be the perfect opportunity to whip out your grill if you haven't already this season. Here are some tips to make sure your weekend festivities go off without a hitch! First, get the outside of your grill looking brand new using a solution of 1 part white vinegar with 2 parts warm water and a microfiber cloth, and soft bristled brush. The vinegar will help cut through any grease stains, and the soft cloth will ensure you don't scratch the metal. Next, move onto the inside of the grill, where you can be a little more aggressive. Remove the grates and place in a large container filled with warm water and dish soap. Using a stainless steel grill brush and some elbow grease, slough off any residue that's baked on, and rinse well. If you forgot to clean the tray out at the end of last season, remove it and brush any remnants into the trash. After you've replaced the tray and grates, be sure the gas tank is filled and secure before closing the lid of the grill and turning the heat on high for 15 - 20 minutes. This last step will ensure any leftover cleaning residue has been removed and help keep your burgers from sticking the next time you grill. The first step is the same as if you have a gas grill - using a solution of 1 part white vinegar with 2 parts warm water and a microfiber cloth, and soft bristled brush. The vinegar will help cut through any grease stains, and the soft cloth will ensure you don't scratch the metal. Next take a look inside and be sure there is no remaining charcoal left from last season. Remove the cooking grate, and leave it to soak in a solution of warm water, vinegar and dish soap. 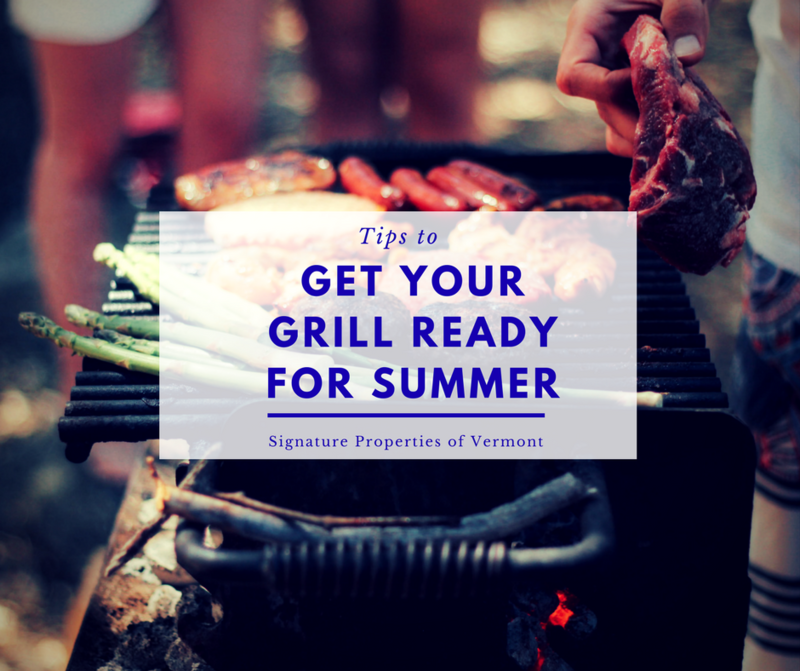 While that's soaking, take a look at the bowl of your grill - if you grill a lot, you may see some peeling, which is most likely carbonized grease. Using a stainless steel grill brush, and warm soapy water, scrub the inside until all of the layers have come off. Now that the bowl is clean, the soap solution should have loosened up any debris on the cooking grate. Go after that with the stainless steel grill brush and it'll look like new before you know it! You're officially ready to start grilling! If you're looking for a new home with a great backyard for barbecues, check out these listings! It's that time of year again, when we gather with friends and family to celebrate Thanksgiving and count all of our blessings. 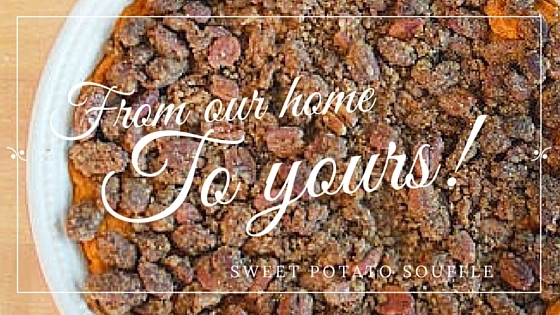 This year, the Signature Team wanted to share one of our favorite recipes with you. We hope you enjoy it! 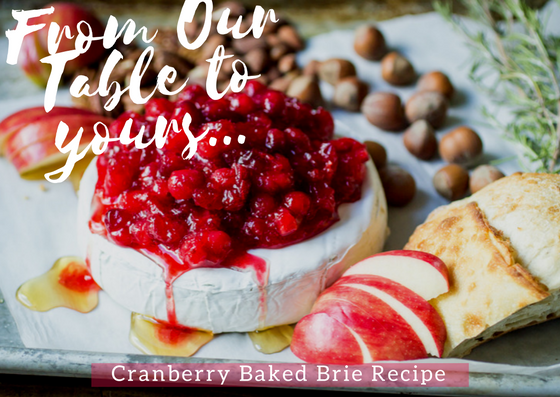 Cranberry Baked Brie - the perfect Thanksgiving appetizer! 2. In a medium saucepan, bring 2 cups of water and white sugar to a boil. 3. Add cranberries, vanilla extract, orange zest, ginger, nutmeg and brown sugar. 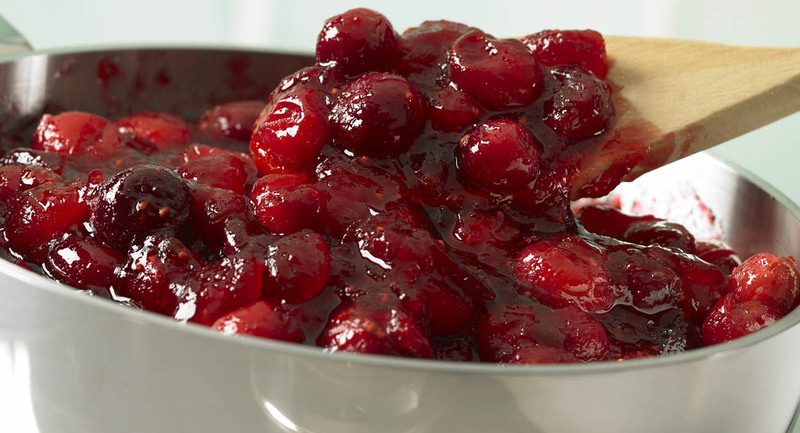 Simmer until cranberries have popped. The smell will be fabulous! 4. Spoon the cranberry mixture on top of the brie. 5. Bake 8-12 minutes. Transfer carefully to a serving plate, drizzle honey and use rosemary to garnish. Serve your baked brie with crackers, or sliced apples. Enjoy! There is nothing like the smell of a turkey cooking to bring back fond memories of time spent with loved ones over the holidays. We'd like to share a delicious recipe with you, that has been a Thanksgiving staple for years in the hopes that it brings joy to your family. Maybe it will even become a tradition! Bon appetit! 9. Bake for 20 minutes and enjoy immediately! Restaurant Week Is Back! April 24 - May 3rd! 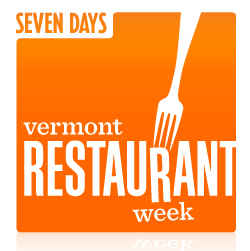 Every year, restaurants around Vermont participate in a week of special menus, discounted food and lots of fun. This is a great way to try new places and sample local cuisine. If you are a Veteran, you should know about the special mortgage benefits available to you through the VA Financing Program. Take advantage of this program! It's designed to make purchasing a home as affordable, and accessible as possible. 1. No Down Payment! This is HUGE, and certainly the defining benefit of the VA program. Instead of having to pony up the usual minimum down payment of 3.5-5% Veterans are given the opportunity to finance the entire cost of their home. 2. No Mortgage Insurance. Conventional borrowers who cannot afford at least a 20% down payment will be required to purchase mortgage insurance which can easily tack a couple hundred dollars onto their monthly mortgage payments. VA loans do not require mortgage insurance as they do not require a down payment. There is an upfront fee, however, that can be completely financed. If you were wounded during service that fee will be waived entirely. 3. Flexible Requirements. The VA program is designed to get Veterans into homes. With that in mind, normal requirements are suspended or made much more achievable. For example, a Veteran will receive full financing even with a credit score 100 points lower than what a normal borrower could get away with. Veterans can even secure financing if they have very recently gone through bankruptcy, foreclosure or a short sale. If you think you're situation puts you in too tough a spot to receive financing - think again! Please visit a lender to find out how they can help. 4. Closing Cost Limits. Unfortunately closing costs can never go away entirely, but the VA puts a cap on what Veterans are allowed to pay. They even make it possible for sellers to pay ALL of the buyers closing costs AND up to 4% of the loan amount in concessions. Keep that in mind when you and your Realtor negotiate the contract! Thank you for your service. Visit our Concierge Page for a list of lenders we trust and work with regularly to help guide you through the mortgage process. 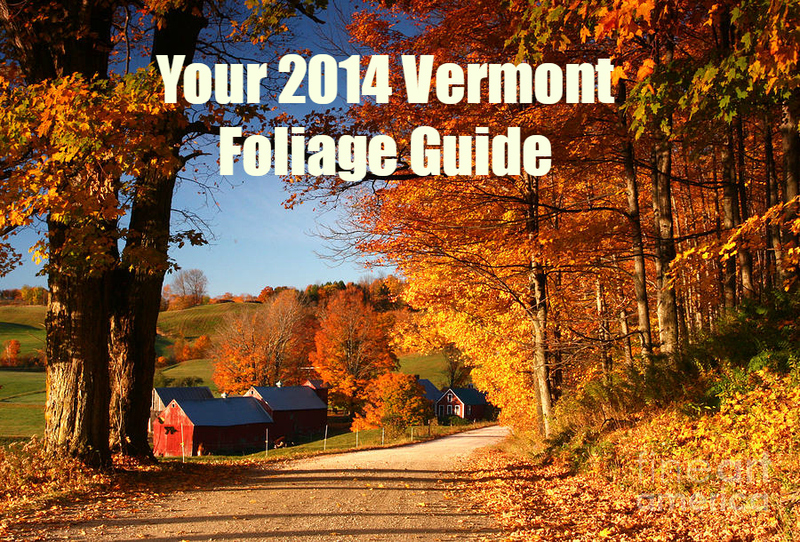 Fall is a great time to sell! 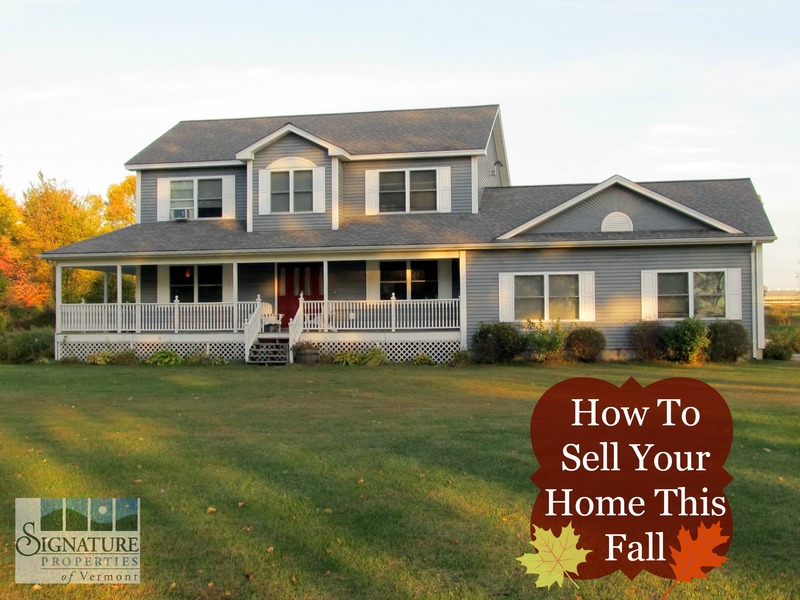 Putting your home on the market in the "off seasons" of fall and winter is a smart strategy that is often overlooked. The available inventory of homes is less by this time, giving the pool of buyers fewer suitable options. With less competition, it is easier to highlight your home's best features and stand out in the crowd. Furthermore, buyers searching during this time are generally more serious, qualified and feeling a sense of urgency. This combination makes for the absolute perfect selling atmosphere. Now that you know why fall is a great time to list, let's talk about how to make your home a standout. Curb Appeal. If you follow our blog, you know how important this topic is. Whether searching online, or driving through the neighborhood, buyers are hyper-critical - and rightfully so! They are looking for well maintained homes that show that the owners care and have made upkeep a priority. If your home isn't presented well, buyers won't give it a second look, and certainly won't make an appointment to see it from the inside. Before your listing photos are taken, and the entire time your home is on the market, make sure walkways are clear of debris, landscaping is neat, windows are clean and your entryway is welcoming. Any outdoor furniture should be stored away by this time as well. Your Realtor should take pictures on a well lit day to paint your home in the best possible light. 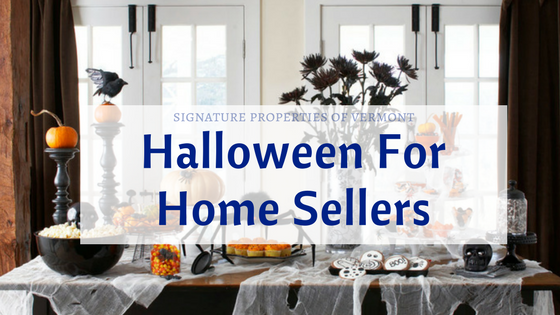 Adding a new welcome mat, some seasonal mums and maybe a pumpkin or wreath to your door add a thoughtful touch that buyers will notice and appreciate. Lighting. Now that the days are getting shorter, it's important that you leave your exterior lights on during all showing hours - both for safety and for a subliminally welcoming aesthetic. If you can, adding solar lights to walkways is a nice touch and added safety feature. Maintenance. Just as with the exterior of your home, the interior needs to be viewer ready at all times. Keep up with the obvious routine housework as well as tending to any maintenance that may need attention. You may not notice that sticky window, or squeaky cellar door, but it will be a red flag in a buyer's mind. Keep drapes and blinds pulled back to let the sunlight in and clear out any clutter to give the appearance of large, open, clean spaces. Scent. Did you know that scent is the sense most closely linked to memory? When buyers remember your home, make sure they're recalling the pleasant, seasonal smells and not a musky basement or stale dog bed. Strategically place scented oils and plug-in air fresheners throughout your rooms in warm, seasonal scents such as cinnamon, vanilla or pumpkin spice. Not only are these uplifting in the moment, but they tend to bring back happy memories and allow people to reminisce -- exactly the mood you want buyers in when they're viewing your home! Create Warmth. Sweater weather isn't just for people -- apply it to your decor too! Make your home look like a cozy place to curl up by strategically adding warm, chunky throw blankets to living room furniture, choosing pillows in seasonal fabrics and colors and using plenty of accent lighting. If you have a fireplace, arrange furniture around it to make it a focal point. Think of the textures and colors that make you think of a cozy fall day, and apply those to your home. There's no need to break the bank with these updates -- retailers such as Home Goods have a huge selection of lovely options to add flare and comfort even on a budget. Remember, you're selling the feeling of your home as much as the property itself. Make sure buyers can see themselves living in and enjoying your home by paying attention to the small details and you'll have no trouble selling your home this fall. In fact, you'll find the process is much easier than expected! The colors are changing and with an unseasonably warm weekend ahead, there's no better time than to explore our beautiful state! Looking for something to do? 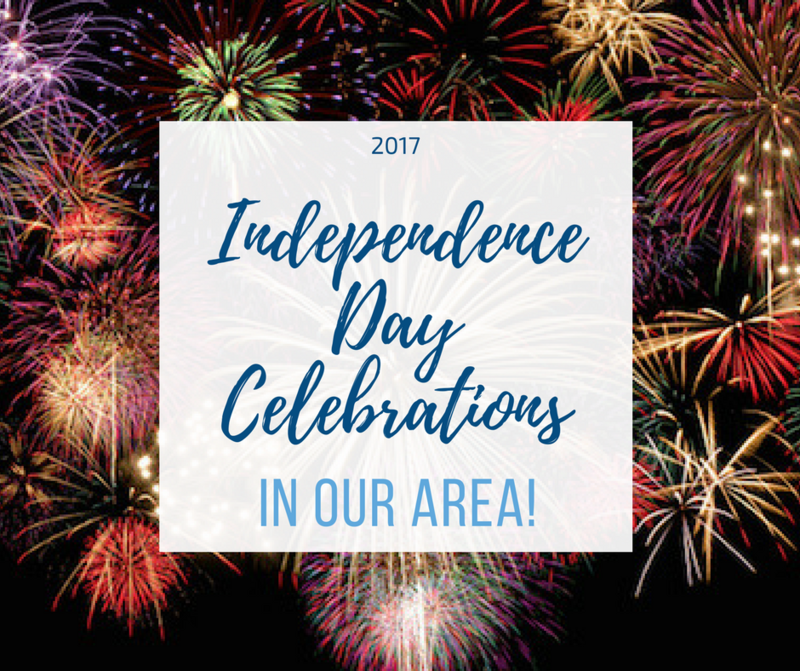 Check out these upcoming events! ZUCCHINI CONTEST-Longest, heaviest, best decorated! PET SHOW-Children under 12 are encouraged to bring their favorite pet to show off. OLD-FASHIONED GAMES such as stilt walking, bobbing for apples, ring toss, penny pitch, hoops, nail drive, & a dunking booth. SAW DUST CANDY SCRAMBLE - This popular fast-paced event is broken down into the following groups to make sure all ages have a fair shot at finding plenty of pieces of candy in the big sawdust pile: preschool & 1st grade; 2nd & 3rd grade; 4th & 5th grade; 6th & 7th grade; and 8th grade plus anyone who missed their slot. ORGANIZED EVENTS such as Hoop races, sack races, a three-legged race, wheelbarrow races, and a water balloon toss will run from 1-3 on both days. Try your hand at cider making, create your own picturesque family photo-op. We will have the materials and props...you bring the fun and smiles! Hannah Smith, from Vinegar Ridge Farm will be returning with her wonderful assortment of Vermont Farm Animals for you to visit. Bring the whole family to watch giant pumpkins battle for the heavy weight title. Take a Hayride to the Pumpkin Patch or Get Lost in the Corn Maze while you're here. Enjoy lunch with Pizza Papillo and an apple cider donut or treat from the Bakery. 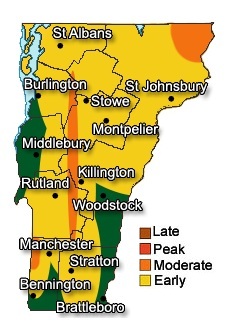 It is again time to get your pumpkin chuckin' trebuchet (gravity powered catapult) ready for the Annual Vermont Pumpkin Chuckin' (VTPC) Festival at the Stoweflake Resort and Spa in Stowe, Vermont. The VTPC Festival is a fun, family event sponsored by the Stoweflake Resort and Spa and other local sponsors.The event benefits the Lamoille Family Center, which has a thirty-eight year history of supporting Lamoille Valley families through early care, and educational services, home visiting, parent education, playgrounds, child care resource and referral, youth services, and emergency assistance. The event gives kids and adults a chance to build something with their hands and compete; a cross between a shot put contest and a Soap Box Derby. Along with the pumpkin chuckin' contest comes music, children's activities, a bounce house, chili cook-off, and great food; all creating an enjoyable fall day. Music for this year's festival will again be provided by three bands; House Dunn, Ball Hammock and the duo Jen and John, which will be performing periodically from 11am to 4pm. Start the day with a run through the orchard. Then you can enter, enjoy, or eat the homemade apple pies in the Pie Fest!The Cider House Run/Walk (2 or 4 mile run or a 2 mile walk) begins at 11:00 a.m. Cost is $25 for anyone over 12 (includes a $5 Pick Your Own apples coupon). Kids under 12 are asked to pay $8 for the coupon. Please pre-register.The Pie Fest consists of 3 local judges taste-testing 30 double crusted apple pies. You MUST register prior to the contest by contacting Megan at 864-7528 or meganjhumphrey@gmail.com because entry slots are limited to 30 and fill up quickly. Once registered, you MUST arrive PRIOR TO 11:30 or you will forfeit your spot!!! Judges then use their finely tuned palates to discover the winners among pies. First Place walks away with $200 cash. Join celebrity grand marshals and special guests at the Grand Parade to officially open Oktoberfest 2012. The parade will include marching bands, floats representing local clubs, organizations and companies, dignitaries, classic cars and a few surprises. Click for $1 off coupon here on the website. When the leaves start turning everyone at Mazza's celebrates fall and the wonderful experiences that this season brings by holding their annual Fall Festival. It is a great family experience. The festival offers lots of on-grounds entertainment. The children can enjoy pony rides, a petting zoo, a hay ride down to the pumpkin patch, the corn maze and many craft and entertainment activities held under the tent. Head to City Market to sample some of Vermont's finest products. They will have lots of delicious delights available to taste. There will be prize giveaways, face painting, henna art, Sudzy Putty, live music, and more! It is fun for the entire family. Rocktoberfest at Basin Harbor Club - a Bacon & Beer Festival that is family Friendly. Mouthwatering foods, specialty bacon items -Think Bacon Tater Tots, Maple Glazed Bacon Wrapped Chicken. Bacon Caramel Corn, Maple Bacon Cheesecake Pops, Banana Bacon PB Whoopie Pie. Plus classics like burgers and sausages, maple cotton candy, hot soups, carmel apples and more. Kids activities from 3:00 - 7:00: dux the balloon guy, joeys jumpys. facepainting.